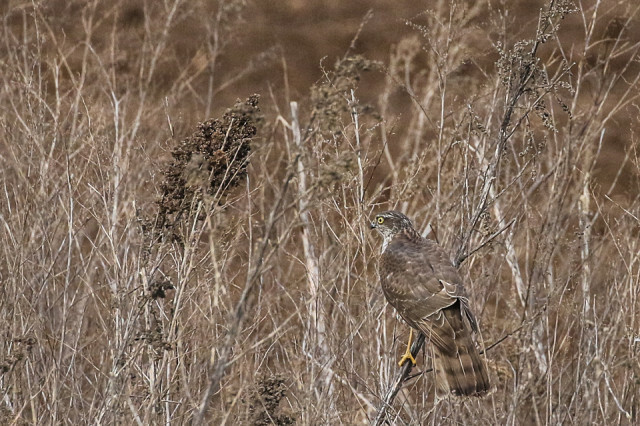 I saw this sparrowhawk swoop into the haulms of the green manure and failed to capture it. It returned and this time I was ready, even though it was in the distance. It's perfectly camouflaged amongst the twiggy stems and seedheads.